Zhejiang Chihui Vehicle Co., Ltd.
Our factory has been certified by the government as One of the National Top 100 Enterprises and given many other awards. Our products are now being private labeled to many famous companies around the world. 5. About Lead Time : How soon we can get the shipment9 We will arrange production after confirmation of the order and payment. Q4. 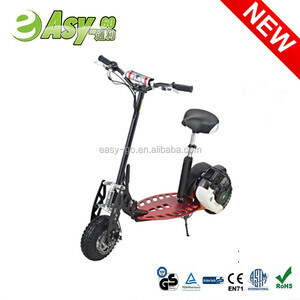 How to proceed an order for gas scooter9 A: Firstly let us know your requirements or application. Please inform us formally before our production and confirm the design firstly based on our sample. Q6. Do you offer guarantee for the products9 A: Yes, we offer one year warranty to engine of gas scooter products. 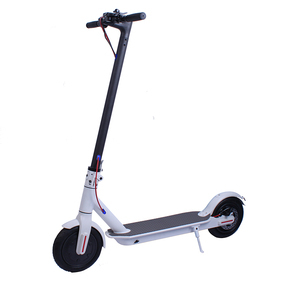 Shenzhen Kinoway Electronic Co., Ltd.
Shenzhen Skyway Technology Co., Ltd.
Model name: A8 electric balance scooter Battery: 36v; 4.4ah li-ion battery Motor: 350w*2 hub motor Range: 10-15km Max Load: 120kgs Max Speed: 15km/h (according to the different requests of different countries) Climbing ability: 30&deg; Tire size: 10" Net weight: 14kg Gross weight: 15kg Carton size: 320*320*590mm(1pc/ctn) Our company name is: Wuxi Saichi Vehicle Industry Ltd.,Co . 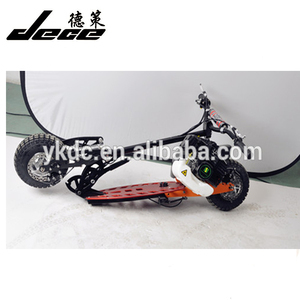 We are manufacture of electric scooter, electric bike, vehicle and so on, our factory is located in Wuxi city, a beautiful city beside the Taihu lake, and it's about only 2 hours driving from Shanghai (The world famous modern city) We believe that good quality, challenging price, and good after-sale service will win the market for us, so we have more than 5 years experience of exporting to Europe countries, USA, India, Middle East countries and so on. Hope we can have the opportunity to estabish a long term cooperation and win together Main products Packaging & Shipping Packaging: Usually we make package with thickened carton box, and with foam package inside to protect, wood frame, or steel frame also used for some huge and heavy items. 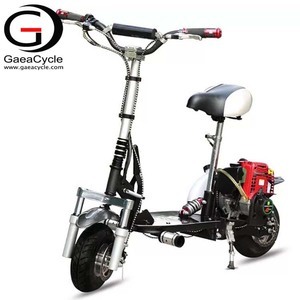 Yongkang Kuta Industry & Trade Co., Ltd.
Yongkang Citygreen Vehicle Co., Ltd.
Tangshan Rongcheng Science & Technology Co., Ltd.
Alibaba.com offers 1,031 foldable scooter gas products. About 79% of these are gas scooters, 4% are electric scooters. A wide variety of foldable scooter gas options are available to you, such as paid samples. 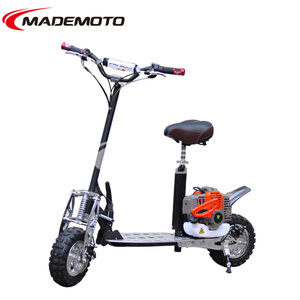 There are 954 foldable scooter gas suppliers, mainly located in Asia. The top supplying country is China (Mainland), which supply 100% of foldable scooter gas respectively. Foldable scooter gas products are most popular in Western Europe, Eastern Europe, and South Asia. You can ensure product safety by selecting from certified suppliers, including 449 with Other, 254 with ISO9001, and 5 with HACCP certification.